Editor's Note: Updating earlier story to include more details from report. 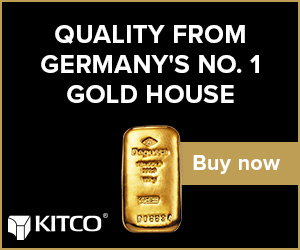 (Kitco News) - Gold futures remained on the defensive early Monday despite a Commerce Department report showing orders for durable goods in the U.S. fell in May for the second straight month, this time by 1.1%. Consensus expectations compiled by various news organizations called for durables to decline by somewhere between 0.4% and 0.8%. Gold came into the session with a weaker tone and got little help from the durables report, even though soft economic data is usually supportive for gold on ideas that it means less aggressive monetary tightening by the Federal Reserve. As of 8:40 a.m. EDT, Comex August gold was down $13.80 to $1,242.60 an ounce. 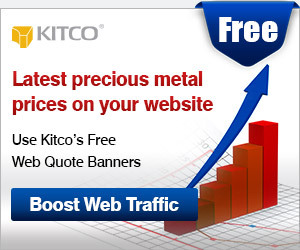 The metal had been at $1,239.20 four minutes prior to the report. Transportation equipment, also down two consecutive months, drove the decrease in durables with a decline of 3.4%, the government said. Excluding transportation, new orders increased 0.1%. Excluding defense, new orders decreased 0.6%. April’s headline durables figure was revised downward slightly to a fall of 0.9%. The government’s durables report covers items with an expected life of at least three years, such as kitchen appliances, computers, furniture, autos and airplanes.